Long blog post URLs are difficult to use in chat or tweet. It takes much space and looks bad. On Twitter, we have 140 character limit and long URL can take your space. There could be more reasons why you need URL shorteners to save space and easily manage your URLs. So we use various kinds of URL shortener services. Sometimes, we also use URL shortener services to hide the original URL of the page. There are also some cases where we need to create URLs only for a few time. Suppose for 1-2 day and you need this link to expire after this time. For this case, you need to delete that short URL from that URL shortener account. But there is an easy way of doing this. You can use some different kind of URL shortener services that also allows users to set the expiry date of short URL. The URL will not be available after the time expires. It is very useful when you use short URL to share sensitive data. These are few URL shortener services to create short URL with the expiry time. 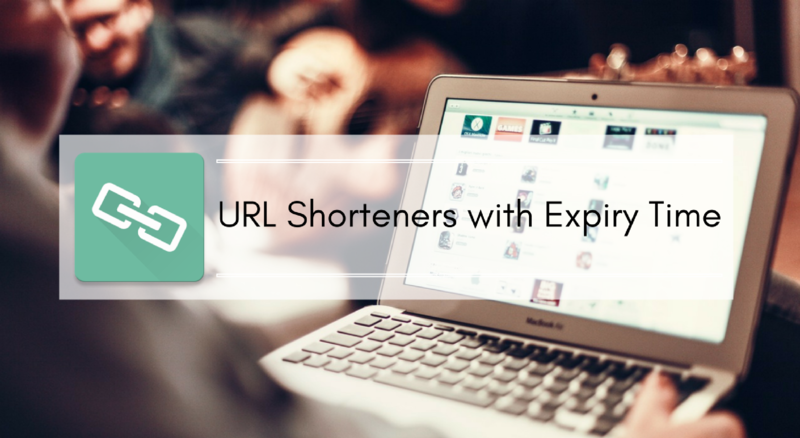 URL Gone is a popular URL shortener service that allows users to create short limit with the expiry time. You can set expiry time in days. When you visit the website, you will see two text boxes. Enter the URL of the page which you want to short in the Long text field. Enter the number of days (Expiry day) in the second small text field. If you want to create a permanent short URL with no expiry time, leave short text box blank. ShoutKey is a really a nice URL shortener service which I like most. It also allows users to create short URL for a specific time. The most important thing about this service is that you can set expiry time to minimum 5 minutes and maximum 1 day. If you need an URL shortening service with the expiry time, you should use this. Create the short URL and it will expire after the expiry time. These are the URL shorteners that come with the expiry time. This list was long but few services stopped working. So, I removed all the inactive services. There may be few other this kind of online services available that I could miss in the list. If you know something better than this, you can share with us.